Dwell: Aso Ebi, 2017, is on view until mid-February 2019. 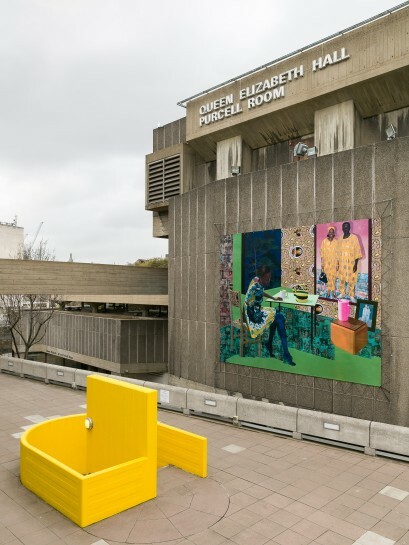 The work is installed on the façade of the Queen Elizabeth Hall, opposite the Hayward Gallery. The Hayward Gallery Billboard is part of Hayward Gallery's 50th Anniversary celebrations. Art on the Underground will present a new work by Akunyili Crosby at Brixton Underground station in September 2018.